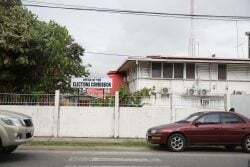 (Trinidad Guardian) A Caribbean Airlines (CAL) flight bound for Guyana out of Piarco International Airport was delayed for close to half-an-hour yesterday, after a New York-based Guyana national was escorted off the aircraft for abusive behaviour toward flight attendants. 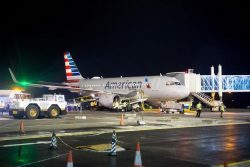 Mark Anthony Wong, who boarded BW425 at the JFK International Airport in New York, was travelling with his wife and three young children at the time. 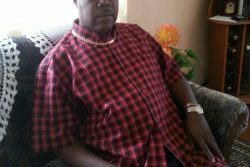 He reportedly became abusive when the flight, due to depart at 7.20 am, was delayed without explanation at Piarco. Passengers awaiting departure of the flight had initially been informed of a 6.20 am boarding time, a process that did not begin until close to 7 am. 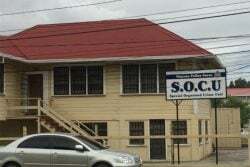 As a result of the incident, the flight was further delayed and did not leave until close to 8 am, arriving at the Cheddi Jagan International Airport shortly after 9 am. Wong had been noisily protesting the initial delay and reportedly used obscene language against the cabin crew. He was repeatedly cautioned and airline security was eventually summoned. They were followed by uniformed Airports Authority (AATT) security officers who led him off the plane. One airline source said Wong was to be detained in order to “cool off” before being put on the next available flight. His family remained on board. The incident led to vociferous protests by other passengers who had themselves criticised the lack of an explanation for the delay. Most of them had flown into Piarco from JFK International. The flight crew, however, described Wong’s behaviour as rowdy and potentially threatening. The flight was captained by pilot Sean Crooks.